Tagged with " Reasons to visit fort lauderdale"
Discover the beauty and enchantment that Fort Lauderdale Florida has to offer you. Explore the secrets of Fort Lauderdale through the endless canals of this sunny location to uncover its personality. This city is well deserved to be explore far more in depth than its beautiful blue crisp waters. You may consider going for a boat ride, go for a shopping spree at las Olas Blvd and far more. That is why we say that Fort Lauderdale is the Perfect Weekend Getaway. Make the new B Ocean Fort Lauderdale boutique hotel your home base for exploring this South Florida city’s best weekend getaway. Its location on the quieter end of the famous beach stretch, jampacked with bars serving frozen piña coladas and shops overflowing with umbrella and sand pails, is a plus. It’s one of the few hotels here that actually has a grassy front yard with benches and feathery palm trees, and guests have only to cross Fort Lauderdale Beach Boulevard to unroll towels on the sand. The cool vibe at B Ocean (think wavy, abstract lobby walls that turn to neon-lit hot pink and royal blue after dark) gives the hotel youthful energy. 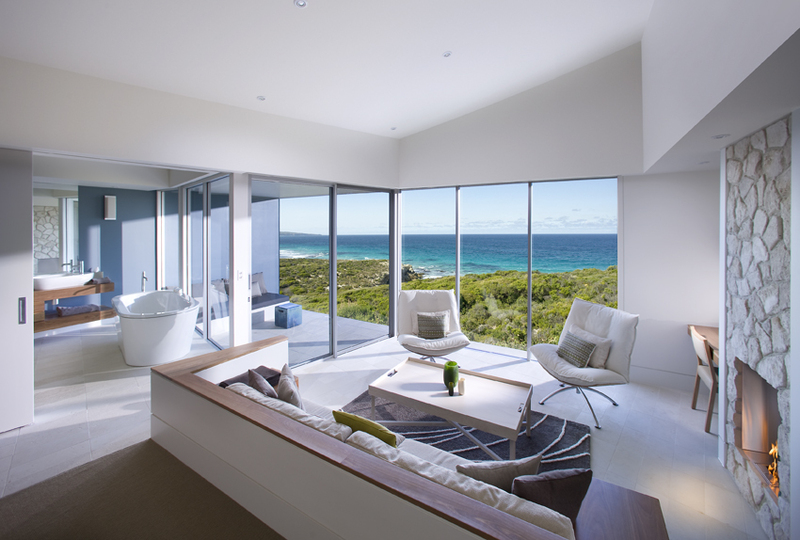 The rooms’ white-on-white decor, from the contemporary beds and furniture to the draperies and walls, allows the Atlantic Ocean, seen through floor- to-ceiling windows, to be the wow centerpiece. The view extends for miles, over puffy deep-green treetops of the neighboring Hugh Taylor Birch State Park to the glistening sand and sea. You can even watch the sunrise from your bed. 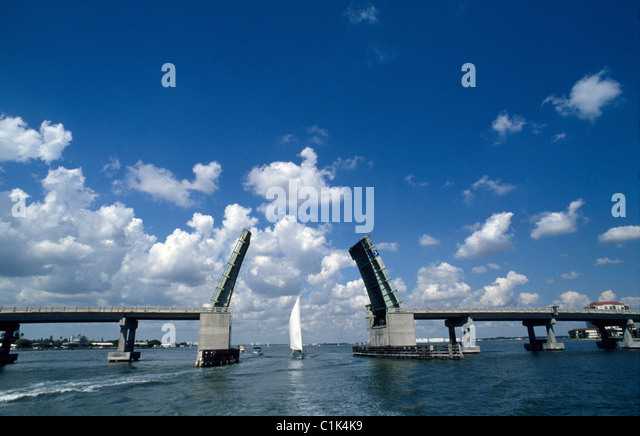 A short walk over an Intracoastal drawbridge takes you to Water Taxi stop no. 2. Much more than a means of transportation, this open-air sight-seeing boat provides a crash course on Fort Lauderdale, making it one of the best source why Ft lauderdale is an awesome weekend gateway . Merv Griffin’s house has the blue roof … Wendy, of Wendy’s hamburgers, bought … This $18 million home with two towers and elevators …” and so on. At day’s end, a stroll on Beach Boulevard, where convertibles cruise and pedestrians bar-hop, is a Fort Lauderdale ritual. However, depending on how adventurous you are, another Florida experience to consider is a nighttime airboat ride through the Everglades. With flashlights in hand, captains at Sawgrass Recreation Park (a 30-minute drive from the beach) search for the glowing eyes of alligators in the tall grass. You’d be amazed at how much you can see when a light is shined on the crystal-clear water as the gator kicks up the sandy bottom and turns to swim away. When the airboat starts up again, hold on, because these vessels, propelled by huge fanlike motors, really fly. Bonus: The cool, breezy ride in the evening air is refreshing on a hot night. B Ocean’s B’stro on the Beach’s oatmeal crème brûlée — golden raisins buried in creamy oats and topped with torched brown sugar — is a healthy way to start the day. Kudos to the chef for elevating oatmeal to gourmet status. Lunch is on Las Olas Boulevard (a water-taxi stop). Bright-colored fashions fill the windows of upscale boutiques, and places like Cheese Culture, marked by a cheery, yellow-striped canopy and European-style cafe tables, tempts with specials written on the outdoor blackboard: the grilled cheese sandwich of the day is raclette and Gruyere on rustic white bread. Susan Phipps and her husband opened the cheese shop a year ago. “Traveling Europe, we enjoyed the eating experience so much that we wanted to re-create it here,” Phipps says. In the charcuterie and cheese display, find the sweet and salty Wyngaard Chèvre Affiné, a goat Gouda from the Netherlands, along with other imports and domestics, while in the cooler, unusual beers, like Wells Banana Bread Beer from England, will quench your thirst. 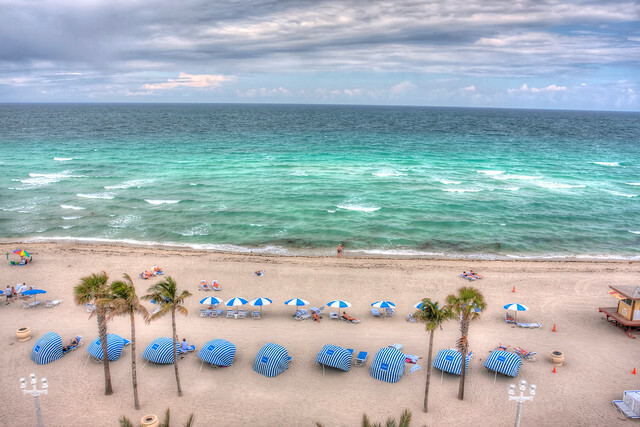 There are endless reasons of why Fort Lauderdale is the Perfect Weekend Getaway, but these that we have provided you are reason enough to make you plan this upcoming weekend, pack your bags and go. Tip of the day: If you do not feel like driving you can always contact a transportation provider that provides transportation services to and from major cities in Florida. We suggest contacting at the Fort Lauderdale Shuttle Services that will be able to provide you with great service, peace of mind and affordability. Enjoy your trip Good day ! When thinking of going on a vacation for lots of fun things to enjoy, only one name hits up in mind and that is Fort Lauderdale. A house full of beaches, arts, culture and events. Where sunshine meets like a friend and entertainment gets involved like a loved one. Where beaches offer crystal-clear water, beautiful white sand and great weather year-round. Fort Lauderdale’s full of great tourist destinations for visitors and residents alike. Here we can give you the reason why it is necessary to visit Fort Lauderdale during vacation. Deer field Beach ->>> Enjoy the sunrise on beautiful Deerfield Beach, Greater Fort Lauderdale’s northern most award-winning, cove-like beaches and the destination’s family playground making it a big reason to push every visitor saying its important to visit Fort Lauderdale during holidays. For the more adventurous family, a day can be spent at Ski Rixen, one of America’s first cable water ski parks. This innovative water skiing system pulls you silently over glassy smooth water without a boat! Or, take a trip to the beach for sandcastle building, volleyball, dining at open-air eateries or fishing off the Deerfield Pier. Hollywood Beach ->>> Retro cool Hollywood Beach is home to the Broadwalk which runs 2 ½ miles along sun-kissed beach. Bike or stroll and find an outdoor café to sit for a while. Hop aboard the trolley and head to Arts Park in Young Circle, the epicenter of Hollywood culture and cuisine. Take an art class during the day, stay for dinner and drinks, and then party the night away at Seminole Hard Rock Casino. Live Hollywood Beach cam. Watch a Florida Travel & Life video about Hollywood. A true spot to cherish the moments with your loved ones is also one of the main reasons for a must trip to Fort Lauderdale during break ups. Museum of Discovery and Science ->>> Spend a day of discovery exploring two floors of fascinating interactive exhibits at the Museum of Discovery and Science. See sharks and the largest living Atlantic coral reef in captivity, hang out with bats, and be charmed by a 12-foot snake, plus pet alligators, turtles and iguanas. Discover place in aerospace at Runways to Rockets, space exhibit, and take a simulated trip to the Moon or Mars. Make it a play date at the Discovery Center, designed especially for children under seven. This would be a best source of entertainment for all age group and you will surely reluctant to say it a must tour to Ford Lauderdale during vacation. Las Olas Riverfront ->>> Las Olas Riverfront is Fort Lauderdale’s hottest place to eat, drink and be merry. If you’re nautically inclined, feel free to pull up in your boat and dock for free! The restaurants of Las Olas will serve you right on your boat, which makes it a perfect cause of a visit in Fort Lauderdale. Set the stage each evening for South Florida’s most architecturally unique, authentic, and eclectic shopping and dining district. Stroll the boulevard, duck in and out of our cool breezeways, and be delighted by what you discover. Nowhere else in Florida will you find? 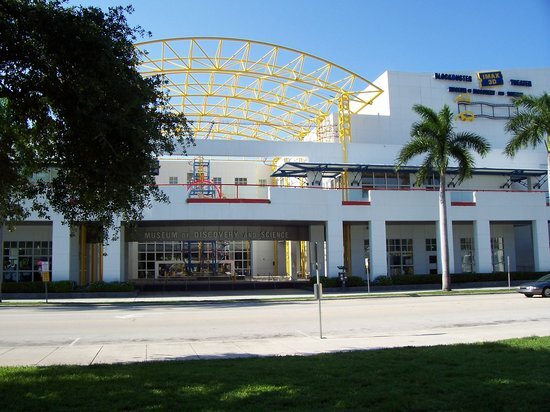 Buehler Planetarium & Observatory ->>> The Buehler Planetarium & Observatory, tucked away on the campus of Broward Community College in Davie, is a small, but wonderful attraction for science lovers. You’ll rarely find a crowd at the Buehler, allowing you to benefit from the knowledge and attention of the talented staff. Hours are very limited, so check their website in advance for show times and public observatory hours. You would have no reason left not to visit Fort Lauderdale during vacation. All in All, Fort Lauderdale is a tale of beauty in itself. A place worth seeing for its charming weather and beaches on top. Hope you will plan your next visit to Fort Luaderdale Good day! While thinking of going on a vacation, Fort Lauderdale Florida is a must remember famous for its beaches, arts, culture and events. From shopping on Las Olas Boulevard, to gondola rides on the canals, to a historic riverfront. Just two miles north of Port Everglades, you can experience a landscaped beachfront promenade, with its signature white wave wall and brick paved path. Across the street, visit luxury hotels, and enjoy shopping or dining or a narrated 90-minute amphibious tour of quaint Las Olas Boulevard, historical districts, and the mansions and yachts dotting Millionaires Row. Stop at the Stranahan House, a preserved 1900s home furnished with antiques of the era. Or “follow the red brick road” of Riverwalk, the landscaped park, to the Arts and Entertainment District. Trying to stay fit? Dive into the Atlantic, hike into the Everglades or enjoy a workout and healthy fare at a resort spa in Fort Lauderale Florida. I apparently wasn’t paying attention when people told me to visit Las Olas Boulevard, for some reason I thought that the section they were referring to was near the beach so we started walking and walking and walking. We finally got there, I’m not even sure how long it took, but most people will want to take the Sun Trolley or the bus to get to the section with restaurants and shops. The section closest to the beach is interlaced with canals and multi million dollar waterfront homes and boat docks. From the beach to Andrews Street is about 2 1/2 miles so it is a bit of a hike from the beach. 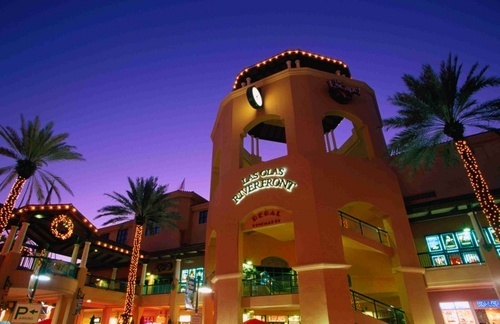 Las Olas Boulevard is the main shopping and dining street in Fort Lauderdale Florida. We didn’t spend anytime sitting on the beach but I did get to walk a long portion of it from where the 17th Street Causeway meets the beach north to Terramar Street, about halfway between Las Olas Blvd. and Sunrise Blvd., where the Fort Lauderdale Rough Water Swim race started. You can either walk on a sidewalk the whole way or you can walk along the beach. It was early in the day when I walked it so we didn’t see a lot of people but I’m guessing it gets more crowded as the day goes on. Lots of shops, restaurants and hotels along the beach which stretches the length of Fort Lauderdale Florida. One of the options post cruise was to book an airboat tour which then dropped us at the Miami airport so we opted to do that. We had a nice day for the airboat ride at the Everglades Holiday Park in Fort Lauderdale Florida. Our ride was probably shortened because it was affiliated with the cruise, I think it was about 1/2 hour and their website says it’s an hour tour. The first part of the tour is a thrill ride at a high speed sometimes going a bit sideways, then they cut the engine and float for a bit to do some alligator spotting. We saw two, a fairly big one and a smaller one, they don’t seem to be afraid of the boats and you are pretty close to them although it’s probably not a good idea to try and pet one. Had it been a bit warmer, we probably would have bought a day ticket for the water taxi and explored some of the intercoastal waterway that runs through Fort Lauderdale Florida but it was a cool windy day and I didn’t think that being on the water would be all that pleasant.From the website, it looks like an all day ticket with on/off privileges is $20, no option to buy a single ticket which I think is a little odd. If you stay on the boat for a round trip tour it takes about 3 hours, another 45 minutes if you do the Hollywood route. It’s not a circular tour, rather there and back between Oakland Park Boulevard and Southeast 17th Street along the Intracoastal waterway, then west along the New River into downtown Fort Lauderdale to the Las Olas Riverfront complex. So, this is the short compilation of the beauty of Fort Lauderdale Florida. Come and enjoy your vacations with your loved ones and have a lots of fun things to do. Good Day!